Use of your mobile is not limited to taking selfies or hearing a song. You can also use your phone for transferring funds to other. All this is possible by using Unified Payment Interface (UPI) a new payment system which is launched by NPCI (National Payment Corporation of India) recently. 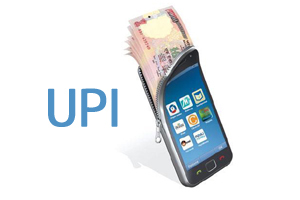 UPI enables cash transfer between accounts instantly in a paperless manner. Let’s demystify UPI and its benefits. Unified Payment Interface is new payment system that can be used to transfer money between two parties. You can use UPI by installing simple smartphone app in your mobile. You can transfer money using UPI without knowing bank account number, IFSC code, bank branch detail of person. You just need Unique ID to transfer the fund. The app will ask MPIN to initiate fund transfer. No OTP is required. UPI is interoperable between banks. 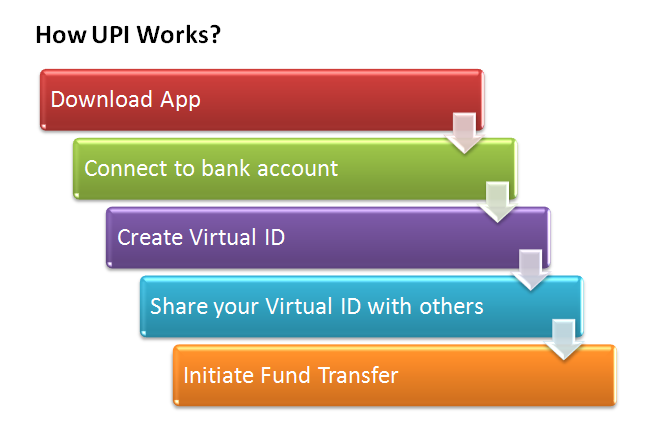 You can transfer fund to any bank supporting UPI. You can even schedule push and pull transaction using UPI app. This service will be available 24×7, 365 days. In the first phase, 29 banks will be launching this facility. Unified Payment Interface is simple and unique technology for fund transfer. In order to use UPI first, download the UPI app and create Unique ID. This id will be your virtual Id and it will look like an email address (12345678@icici). You can have multiple virtual addresses for multiple bank accounts. You can share this financial address to others to initiate fund transfer. Single App for accessing various bank accounts. No dependency on the mobile wallet or bank account. Transfer small amount starting from Rs 50 to 1 Lac. No need to remember bank account or IFSC code. Virtual Id is enough for fund transfer. More secure method of money transfer. No need to enter the debit card number, CVV or debit card PIN for money transfer. UPI is available 24×7 throughout the year, whereas NEFT, RTGS is available for the specific time only. No need to bring cash your virtual ID and mobile phone is enough. Unified Payment Interface is best alternative of cash on delivery. Instead of paying cash on delivery you can initiate fund transfer using UPI. You can also use Unified Payment Interface for making utility bill payment or sharing bill among friends. Unified Payment Interface can be used for making donation or school fees payment. UPI is a welcome step by the government and it will revolutionize digital India and also boost cashless transactions. What is your view on Unified Payment Interface? You access Press Release of UPI from here. IF SOME ONE TRIES TO MAKE MISS USE OF VIRTUAL ID, IS IT POSSIBLE OR NOT. How it can be misused.No account or personal information are given along with this virtual ID. All information are available with central database at bank.